Vitiligo Queen: "What I Thought Was a Curse is a Blessing to Me Now." 50 million people have vitiligo, the skin disorder where the body loses its melanin. That's 1% of the population- 2.5 million in the United States. Fortunately, because of models like Winnie Harlow and Covergirl's Amy Deanna, many of us are becoming much more aware of it. 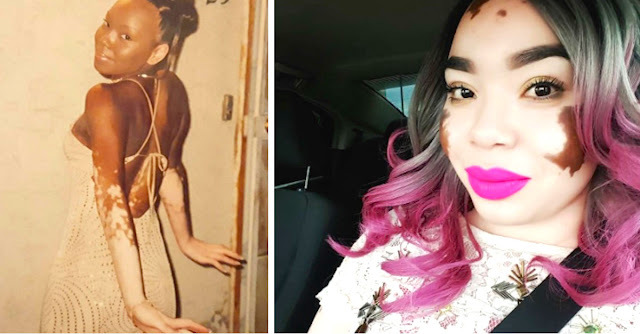 For Vitiligo Queen, who began losing pigment at age 5, vitiligo has become a surprising blessing. Just listening to her speak about it will have you giving thanks for some of the less obvious blessings in your life!